This is one of many murals that can be seen around "St. Pete." This exhibit at the St. Petersburg Museum of History tells the story of an editor who gave away free newspapers every day the sun refused to make an appearance. When you mention the "winter doldrums," almost everyone gets it. The "summer doldrums" are practically unheard of, that is, unless you're a Pennsylvanian. We toughed out a long winter thinking that dry, sunny days would make an entrance around June. Unfortunately, that didn't happen this year. In fact, we survived the wettest summer on record and almost every plan was scuttled by pesky precipitation. 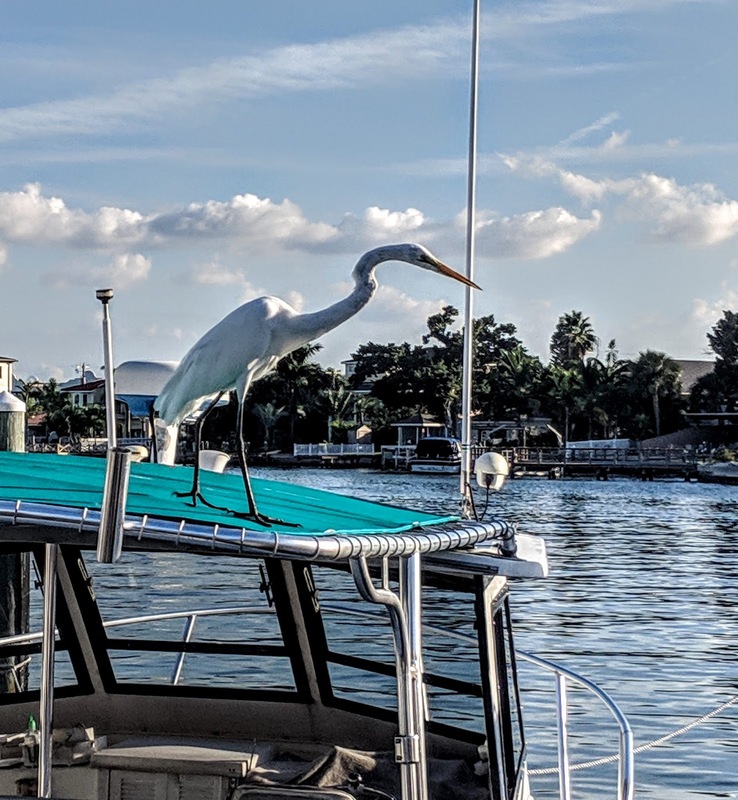 As I made plans for a winter getaway, I learned that St. Petersburg, Florida enjoys an average year-round temperature of 81 degrees a year and an incredible 361 days of sunshine. That, I determined, was where I wanted to be! While researching this phenomenon, I learned the story of Lew Brown, editor and owner of The Evening Independent, who declared the area, "Sunshine City," and offered to give away free newspapers every time the sun failed to shine. He started the practice in 1910 and ended it in 1986. During the 76-year-period, he gave away free papers only 296 times. If you happen to be close to the Harrisburg International Airport you can fly there directly via Allegiant Air and be basking in the sun's rays in no time. This alone was enough to woo me to the area, but I learned quickly that there's so much to do and see. What I looked forward to the most was kicking off my boots, slipping into a pair of sandals and sinking my toes into some nice warm sand and the St. Petersburg area provides plenty of it, with 35 miles of white-sand beaches. In fact, two rate highly on TripAdvisor's 2017 list of best beaches. 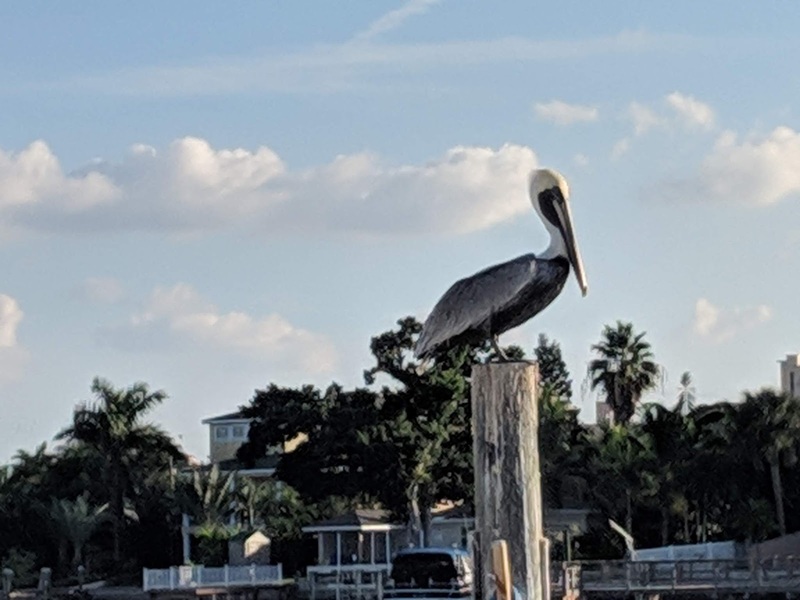 St. Pete Beach, known for its Old Florida hotels and inns, its pristine white sand and opportunities for shell collecting ranks #1 beach in the United States. Clearwater Beach ranks #2 and is popular for its gulf-front promenade and nightly sunset celebrations at Pier 60 where visitors can shop among vendors while enjoying live music and a variety of entertainers. During our visit, we took a stroll along North Beach at Fort Desoto Park in Tierra Verde and had almost the entire place to ourselves. Fort Desoto Park is known for its hiking and biking trails, fishing piers and waterfront camping and is accessible via toll road. 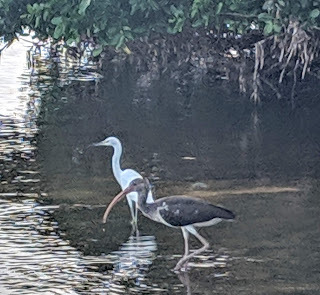 The park is also a gateway site for the Great Florida Birding Trail. On our drive home, I spotted these tame little guys and we pulled the car over and carefully crept into a cove to snap a few shots. 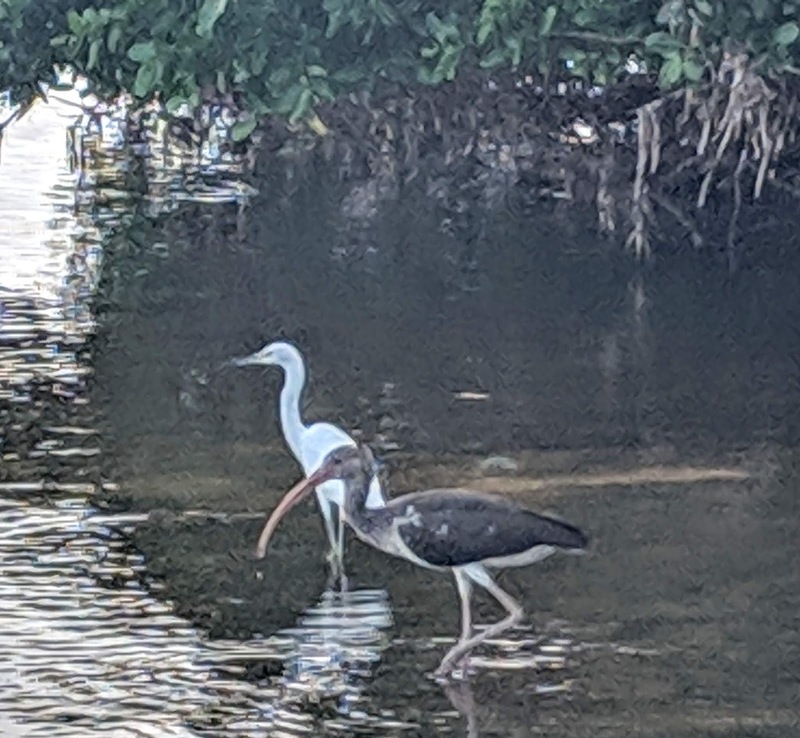 The Ibis uses his long beak to probe for insects. The largest Salvador Dali collection is housed in his hometown of Figueres, Spain, while St. Petersburg lays claim to the second largest collection. The Salvador Dali Museum is listed as the top attraction in the area and a must-see for Dali fans. Works from every period of Dali's career are housed in the hurricane-proof building, which features a free-form geodesic glass bubble, known as "the enigma." Docents are onsite to offer tours. For guests who prefer to explore on their own, headsets provide narration about the works on display. Self-portrait, age 17, prior to entering art school in Madrid. "I let my hair grow as long as a girls....as soon as possible I wanted to make myself look unusual. I brought a large black felt hat and a pipe which I did not smoke," said Dali. "Portrait of My Sister," 1923. This painting hints at their sometimes contentious relationship. Tensions flared when Dali's future wife Gala entered the picture. Is Ana Maria depicted as being bit heavy handed? Among the many tidbits offered on the tour is that Dali was born into a middle-class Spanish family. His father worked as a notary and was an unabashed atheist. Dali's mother, on the other hand, was a devout Catholic. As the only male child in the family, Dali was known to be doted upon and often threw tantrums when he failed to get his own way. This unusual bench is installed on the grounds of the Dali Museum. Located within a 10-minute stroll of the Dali Museum is the Museum of Fine Arts. Created by Margaret Acheson Stuart, the destination, located along the St. Petersburg waterfront, first opened to the public in 1965. The sprawling museum features a range of art spanning approximately 5,000 years. Artists include Monet, Rodin, O'Keeffe and many others, as well as ancient Greek, Roman, African, Asian, Art of the Americas and Native American art. Albert Wein, American. Direct carving, cherry wood, 1937. "Horizons"
Norman Rockwell, 1930. "Two Gentlemen Sharing a Pot of Coffee"
A room in the Museum of Fine Arts. Bertel Thorwaldsen, Danish. Marble. Early 19th Century. "Mercury about to Slay Argus"
Antoine Bourdelle, France. Bronze, 1924. "Le Poete"
Michael Glancy, American. Blown glass, 2007. "Stiletto Fusion"
Yasumasa Morimura, Japanese. Dye diffusion, thermal transfer print, 2001. "An Inner Dialogue with Frida Kahlo"
The nice thing about this particular museum is that it's open seven days a week and closed only on Thanksgiving and Christmas Day, so no matter when you visit the area, it's likely to be open. When you spot this sculpture, you'll know you've located the Chihuly Museum. You don't have to travel to Seattle to see jaw-dropping art glass sculptures created by Dale Chihuly. The glass artist maintains a permanent collection in St. Petersburg in a 10,000 square foot gallery located at 720 Central Avenue. Be sure to bring your camera because you'll want to share the beauty of the sculptures contained within the collection. The way the lighting is set up, it's difficult to take a bad picture. Squiggly, dazzling, colorful, striking, one-of-a-kind works wait around every corner to captivate. The piece below was commissioned especially for the St. Petersburg site and is known as the "Ruby Red Icicle Chandelier." 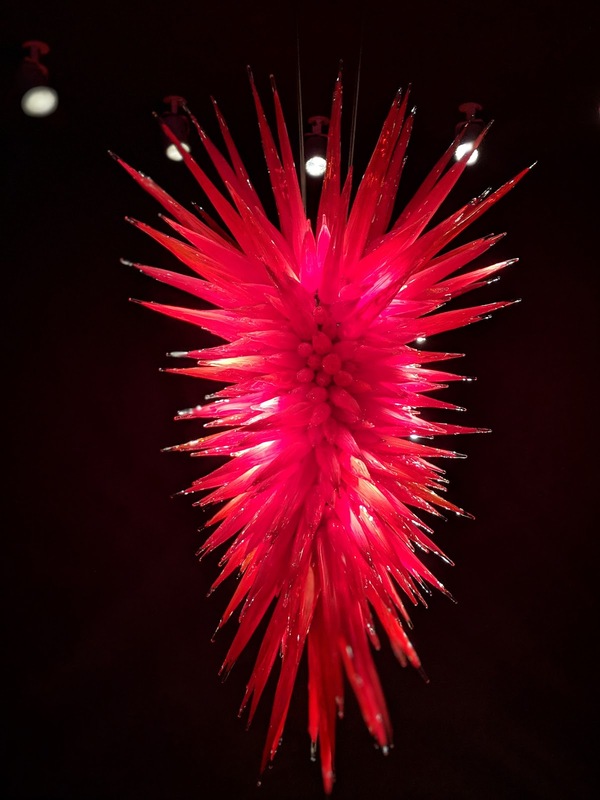 The tour of the glass collection won't take more than a half hour or so, but be sure to set aside some extra time to view the film at the end to gain insight on how Dale Chihuly creates these magnificent pieces. Learning how the renowned artist works is certainly intriguing. Afterward, consider visiting the Glass Studio and Hot Shop at the Morean Arts Center located directly across the street. There you can witness a glass-blowing presentation, or opt for a one-on-one lesson with a professional glass artist. The Chihuly Collection and the Morean Arts Center are open daily year round. Check websites for hours. 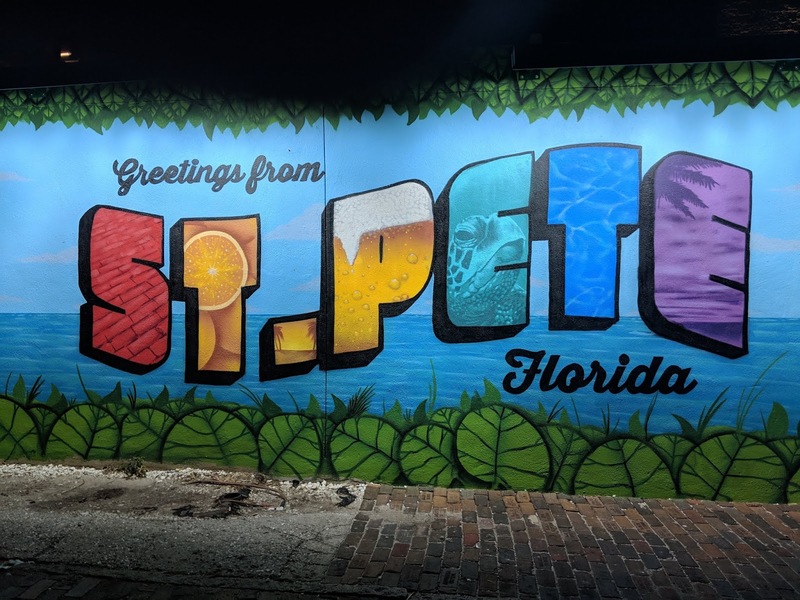 If shopping is your favorite vacation pastime, you'll be happy to learn that St. Petersburg is known for its shopping opportunities, with 30 blocks of shops on Central Avenue alone. The pieces above are created by artist Nano Lopez and are for sale at Ocean Blue Galleries. Lopez creates the pieces from clay and transforms them into bronze. Learn about the process by clicking here. More items for sale at Ocean Blue Galleries. Florida CraftArt on Central Avenue offers a wide variety of pieces created by local artists. Have a seat near a crocodile at Red Cloud Indian Arts. The Sundial Mall, located at the corner of Second Street and Second Avenue near the waterfront in downtown St. Petersburg, is quite popular with locals and visitors alike. There you'll find shops like White House/Black Market, Chico's and more. 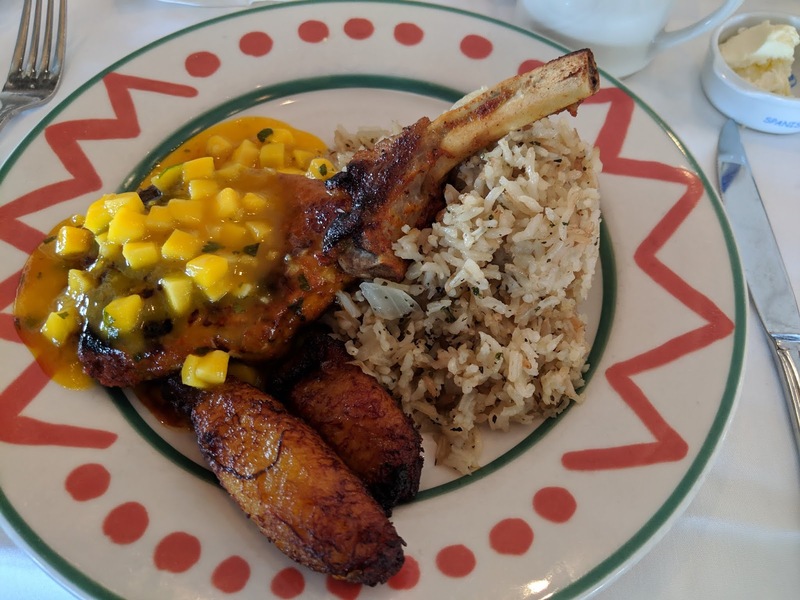 After giving your credit card a workout, you can go for broke with a nice meal at Ruth Chris' steakhouse, or simply grab something to go at the Locale Market. 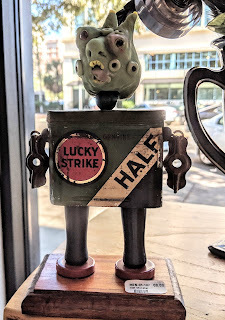 Zazoo'd, also located on the Central Avenue, features an array of unique home decor. The Locale Market at the Sundial sells a wide range of artisan gourmet products. The St. Petersburg area is well represented in the restaurant realm. We enjoyed a number of them during our visit, including the Moon under Water located at 332 Beach Drive and accessible by the free Downtown Looper. The British restaurant takes its unique name from the recruiting activities of the British army. Once a man accepted the "Queen's shilling," he was deemed to be a recruit. Often a sergeant would sidle up next to a drinker and drop the shilling into the man's pewter tankard. When the unsuspecting patron lifted the tankard and the ale touched his lips, that was the end of life as a free man and he was carted off for service. To counter the shady practice, the glass-bottom tankard was introduced so that if a customer was suspicious, he could hold it up and peek underneath before taking a drink. The Moon Under Water located at 332 Beach Drive. 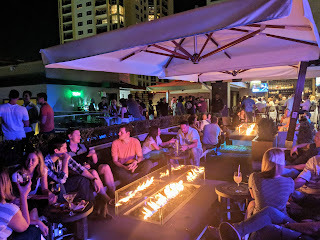 Next to the Moon Under Water is the Birchwood, which features a lovely rooftop bar called "The Canopy" where locals and visitors can take time to socialize and enjoy a drink beneath the stars. 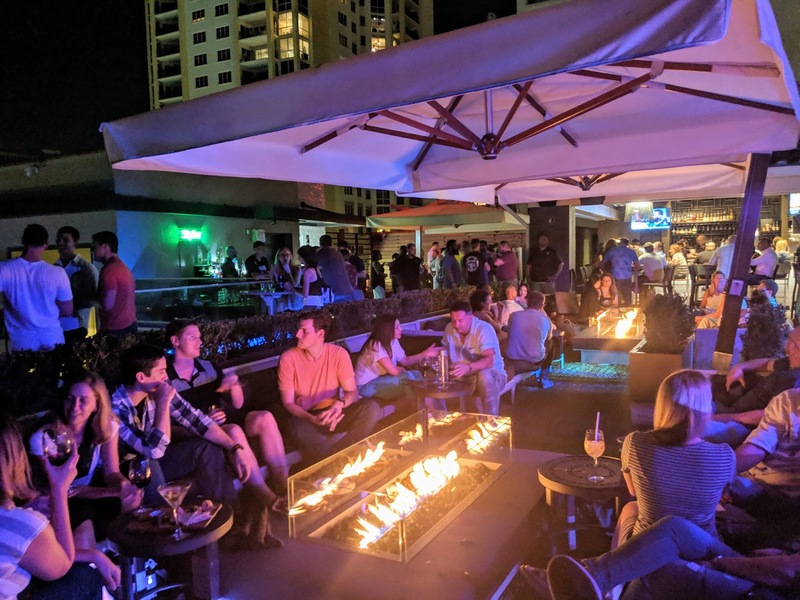 A short drive to the vacation area of St. Pete Beach will take you to Spinners Rooftop Revolving Bistro and Lounge located at the Grand Plaza Hotel & Beachfront Resort. Stumbling upon the unique restaurant during our explorations was a happy accident, however, lacking reservations we were relegated to lunch at the bar. 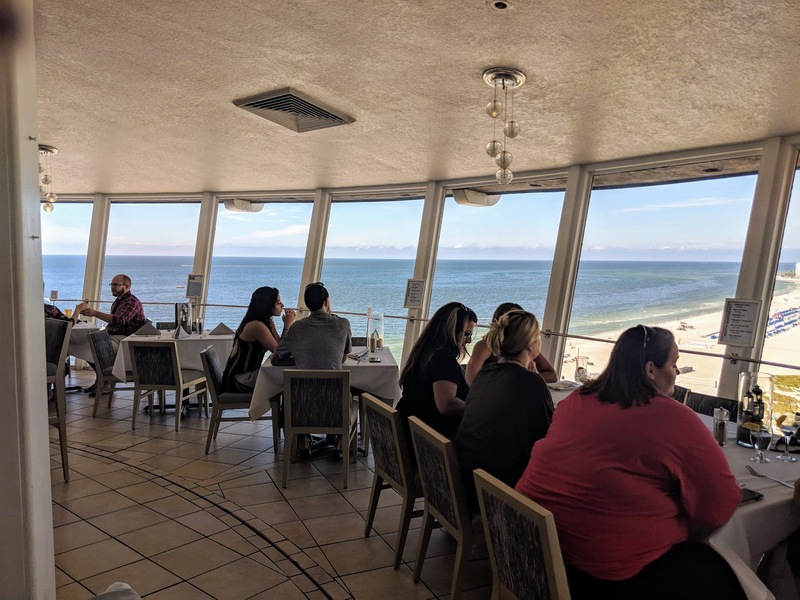 Those lucky enough to nab a reserved seat near the windows were treated to an ever-changing view of the downtown and beach area. If you want to enjoy a view at this revolving restaurant, I suggest making reservations in advance. 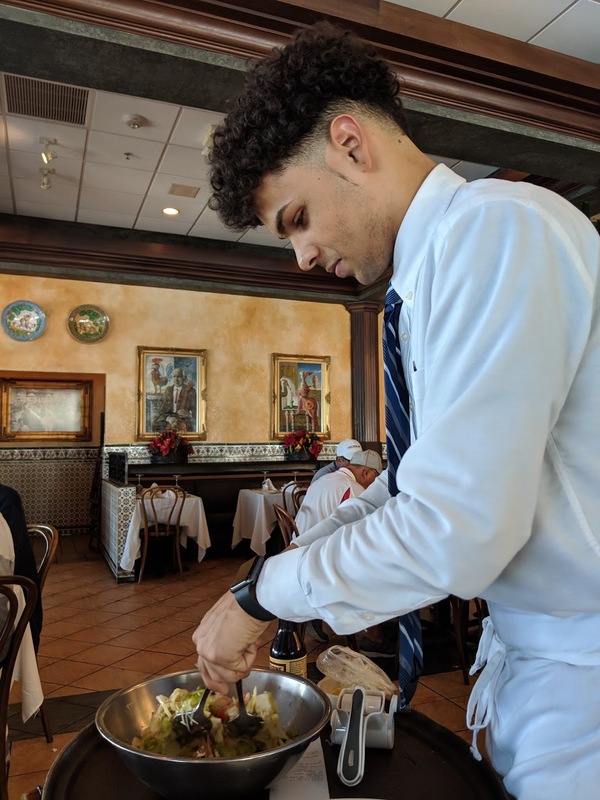 One last restaurant of note is located in Clearwater. 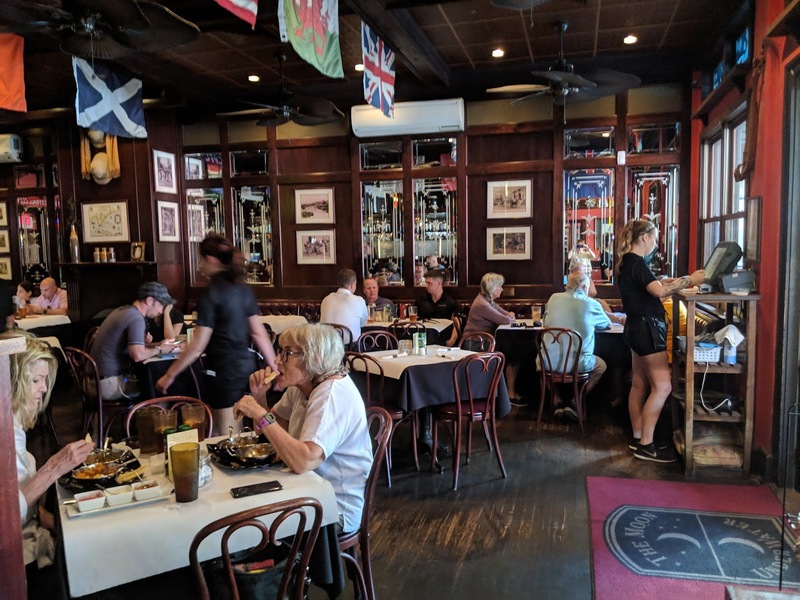 The Columbia Spanish restaurant was recommended to us by a local and has been in operation for more than a century, starting in Tampa's Ybor City with a small cafe known for its Cuban sandwiches and coffee. Today they tout seven locations around Florida. A server prepares "1905," the Columbia signature salad. Pork chop with bourbon apricot fig sauce, rice and plantains served at the Columbia Spanish Restaurant. 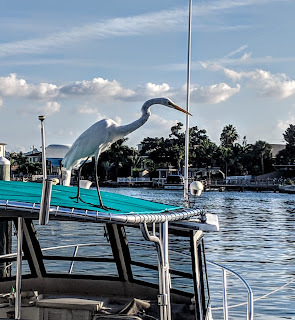 No trip to Florida is complete without a dolphin sighting, so to ensure that we wouldn't miss out on that experience, we booked a tour with The Tropics Boat Tours in Clearwater. During the 75-minute excursion, we spotted quite a few, but try as I might, they were too fast for me and disappeared beneath the water as soon as I brought them into focus. I did manage, however, to take a video of the shoreline that we saw aboard the double-decker boat. The guide also shared the inside scoop on the various celebrities who reside in the area, including Tom Cruise, who occupies the top three floors of the grey building you see in the distance in this picture. Afterward, as we walked back to our car, we spotted even more wildlife, just hanging out, enjoying the beautiful weather. 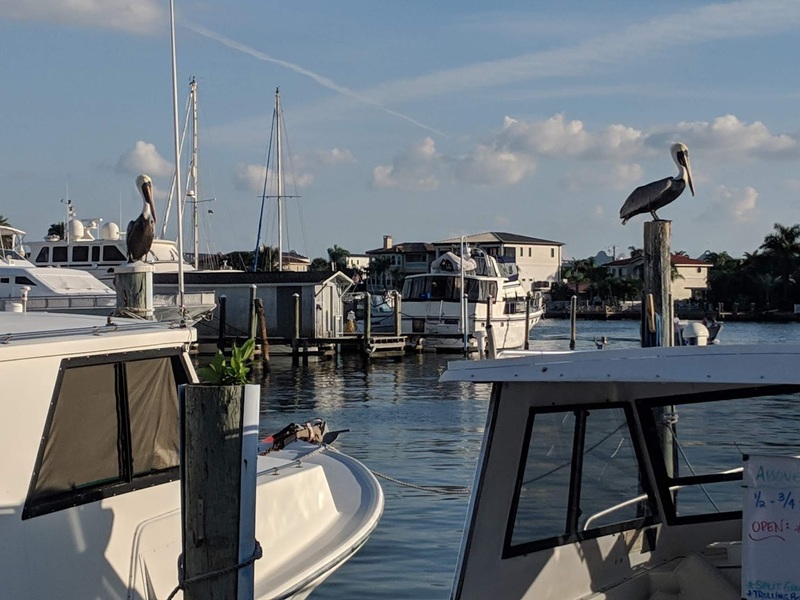 Pelicans perch near boats docked at a marina in Clearwater. 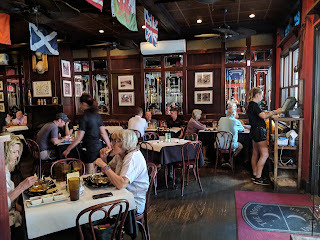 During our visit, we stayed in the heart of the action in a relatively new Hyatt Hotel located at 25 Second Street N. The Hyatt is located within walking distance of restaurants, shops, taverns and museums. The lobby of the Hyatt, which is located within walking distance of restaurants, taverns, shops and museums. 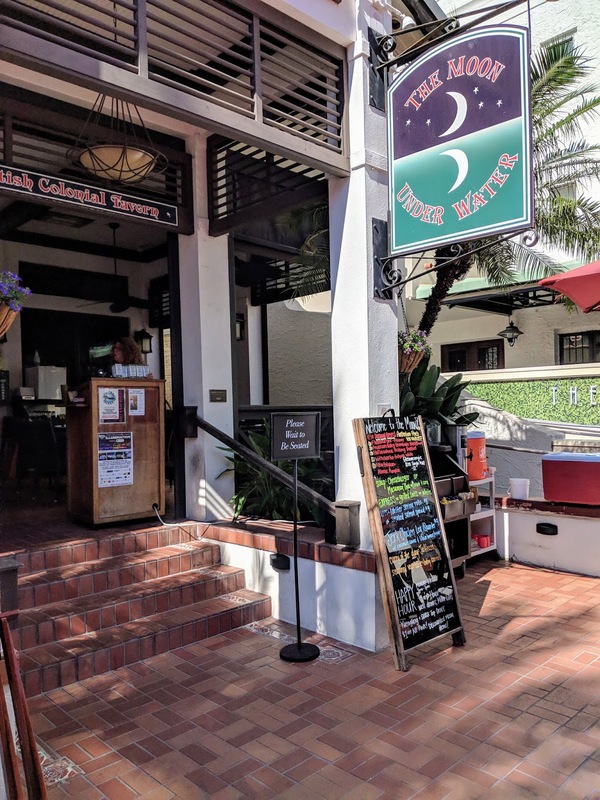 If you're in search of historic (and pricier) accommodations, The Vinoy is located at 501 5th Avenue NE and is listed on the National Register of Historic Places. The award-winning hotel touts a championship golf course, an onsite spa, a private marina, a 5,000-square foot fitness center and offers onsite dining. 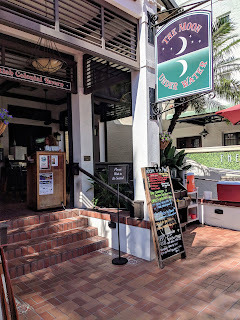 The exterior of The Vinoy. The elaborate porch at the front entrance. The Mediterranean Revival-style hotel was built in 1925 by Aymer Vinoy Laughner and attracted notables like Babe Ruth, Jimmy Stewart, Calvin Coolidge and Herbert Hoover. During World War II, it was taken over by the United States Army and used as a training school. After the war, the hotel was sold for $700,000 and continued to thrive until the 1960s. In 1974, the hotel closed and contents were sold at auction. The hotel remained dormant until the 1990s when a partnership between the Renaissance Hotels and Resorts and the Vinoy Corporation brought it back to life with a $93 million renovation. In 2005, the Vinoy earned AAA Four-Diamond Status. 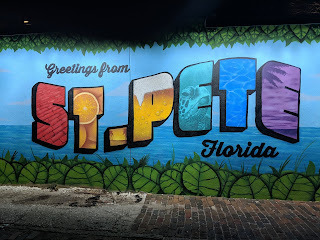 Spending five days in the St. Petersburg area enabled us to get a good feel of what was going on not just in "St. Pete," but in neighboring areas as well. I can say without reservation that I certainly recommend it, especially during November when the temperatures hover in the high 70s and crowds are practically nonexistent. It certainly ranks high on my list as one of the most fun places I've ever visited.